Is the co-3rd seat/acting lieutenant of the Thirteenth Division of the Gotei 13. 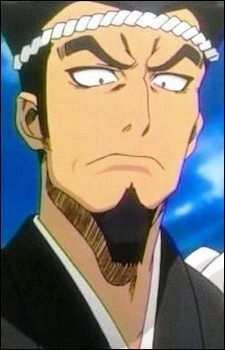 He constantly argues with other co-third seat, Kiyone Kotetsu. Like Kiyone, he shows a great deal of admiration towards his assigned Captain, Jūshirō Ukitake. He wears braided ropes all over his uniform much like a Japanese fisherman, and has a habit of calling people gross names when arguing.